I’ve said it before, personal development is an individual thing. We each have our unique story to tell and journey to complete. Sometimes we overlap with other people, and this makes for strong bonds of friendship, and occasionally, we venture off on a solo quest. Ultimately, we are on our own when it comes to our life challenges. Yes, we attract like-minded friends and hopefully have caring families who support our actions, but it’s a case of ‘me, myself and I’ for the majority of it. So what can we do? Fortunately, there are thousands of non-fiction, self-help books available to offer advice, a positive affirmation, or a wise word. I may be biased because I write for the Mind, Body, Spirit genre, but I also know from personal experience that these books can offer a light at the end of a very dark tunnel. With the New Year hurtling towards us I thought it would be the perfect time to share some of my favourite personal development books that I’ve read (or re-read) this year. Feel free to add any of your own recommendations in the comments. 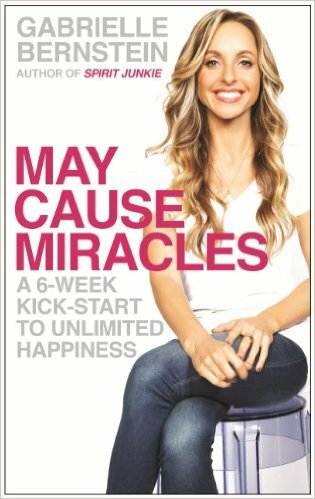 May Cause Miracles by Gabrielle Bernstein. I love Gabrielle and have watched some of her talks on YouTube. She is insightful, funny and down to earth. Her latest book, May Cause Miracles, offers a 6-week plan to obtaining unlimited happiness. Every section has an affirmation, mini meditation, an exercise to complete, and Gabrielle’s intuitive guidelines. Some of the tasks I skipped over as I do them as part of my day to day tasks. My favourite section was on self-love, a topic I struggle with daily. The exercises help you to open yourself up and ask those difficult questions. A perfect book for the New Year. From the popular and exciting author of Spirit Junkie and Add More ~Ing to Your Life comes May Cause Miracles, a practical and fun six-week diet of the mind for transforming fear into love and discovering true and lasting happiness. Having spent most of the year dealing with a health issue, I jumped at the chance to buy Sandy’s new release in the hope his wise words could help me. As usual, he delivered the goods, and his latest book is packed full of tips, advice and techniques to help you stay healthy. 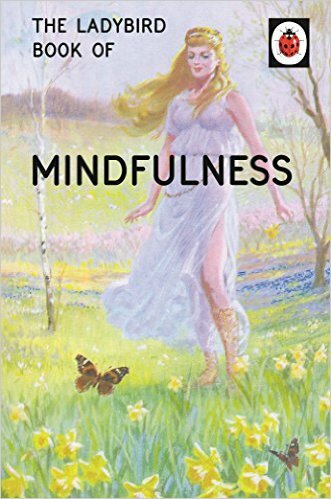 Sandy’s book is beautifully written and will help you in every area of your life – mind, body and soul. He is such a down to earth guy with a big heart, and this comes across in his writing. 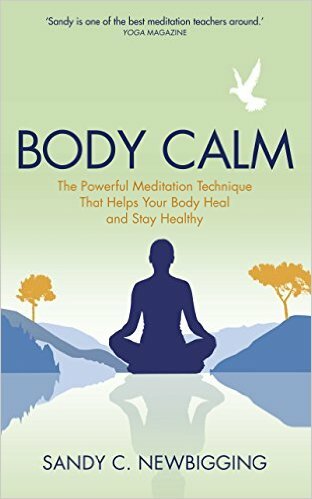 With the Body Calm Meditation technique for daily practice and the Embodying Exercise for resolving specific issues, this book shows that you really do have the power to enjoy a calmer mind and a condition-free body and that achieving it can be so much easier than you may think. At the start of the year, I was thoroughly unhappy with a recent weight gain. I felt awful, none of my clothes fit me, and I was sliding down the spiral of self-destruction or death-by-cake as it’s sometimes known! 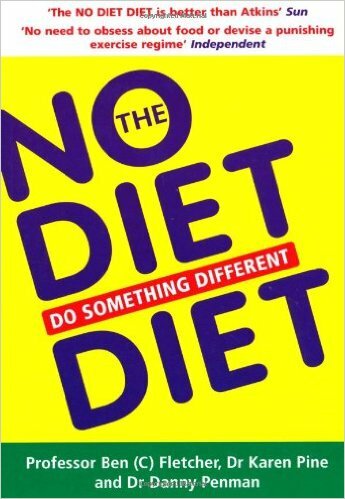 I found the No Diet Diet by accident during an Amazon search and ended up buying a used paperback copy. The book is divided into five phases, each one with its own set of rules and exercises. In the beginning, the authors explain the myth behind diets, and it was this simple section that helped everything click into place for me. There are case studies dotted throughout which I found very useful, in fact, the first quarter of the book did me more good than three years at a well-known slimming group! Any fan of non-fiction titles will understand the importance of follow-through. Where a personal development book offers exercises, it is prudent to complete them in good order, and use the advice that is being offered. The authors know their stuff! The exercises in the No Diet Diet book were not only brilliant but as I progressed through the phases, I realised how vital they were to my sanity, well-being and outlook. You are given a daily task to complete such as ‘don’t watch the TV – all day! If you’re not a TV viewer, cut out the radio’. You may be asking yourself, what has this got to do with dieting but that’s the light bulb moment, it doesn’t. However, you aren’t thinking about food while you concentrate on your daily task. I found the tasks to be incredibly helpful, not just for my weight issue, but for a number of reasons. I completed the no TV and added a day without the radio (much harder!). I also went to the cinema on my own and attended a public meeting, all to tick off my daily task list. The No Diet Diet is a great read, whether you want to lose weight or not. Scientists have discovered the secret of healthy permanent weight loss – and it’s got nothing to do with dieting! People are over-weight because they are imprisoned by their bad habits. The fatter someone is, the more habits they have. THE NO DIET DIET shows you how to break these hidden habits so you can effortlessly lose weight without feeling hungry. There are no calories to count or carbs to watch – but more importantly – there’s no diet to follow. Stop dieting and start living with this revolutionary and original programme. You’ll never have to buy another diet book again. I have read this book so many times that I’ve lost count. I also recommend it to my clients over and over – in fact, I may need to get Peter to put me on commission! I found this book, and its author, via Facebook. Peter’s sense of humour appealed to me straight away, and I adore his writing style. How to do Everything and be Happy is a no-nonsense, down to earth self-help book that offers a variety of tools to use daily that will change your life. I may work with energy, angel cards and crystals, but I’m also one of the most grounded individuals you can find, and so I don’t relate to the highly spiritual side of the genre. I am drawn to real people, real stories, and if they make me laugh then all the better – Peter’s book has it all. As a huge fan of list writing, diary management and goal setting, How to do Everything and be Happy ticked all the boxes for the perfect self-help book. Peter shares with his readers the joy of holding a Boxing Day at any time of the year, he helps you to guide your life in a positive direction and make the changes you want to make. I can’t recommend this book enough. I have it as eBook and paperback, so I’m never without it. Do you ever feel that you could be – well – just that little bit happier? This simple book reveals how you can be happy every day, through these surprisingly easy tips and advice. Whoever you are, whatever you do, and whatever is holding you back, you can do it AND be happy. How To Do Everything and Be Happy is a book for ordinary people, with ordinary lives. People who have been ambling along and wondering if things would be better if they were just a little different. It’s a book for most people. It’s a book for you. Peter Jones was once a normal guy. Sometimes frustrated, often dissatisfied, but always working hard towards a ‘happily every after’ he would share with his wife Kate. But when Kate died in Peter’s arms after just 2 years and 3 months of marriage, he realised his days had been spent working towards a fantasy, instead of making every hour count. Alone, at rock bottom, Peter discovered that the secret to happiness is simple: it’s about filling your time with the things that make you happy. If you’ve got a brain in your head, if you can pick up a pen, if you’ve got half an idea about what makes you smile, this book will show you how to do that. Peter’s ideas are born from hard-won experience. Like Boxing Day: originally a day Peter and Kate spent together, without plans or restrictions, as an antidote to the chaos of Christmas. When Kate passed away, Peter continued the tradition by himself, doing whatever came to mind: it turned out to be the most refreshing, relaxing and fulfilling few hours he’d ever had. And its effects could be felt throughout the month. 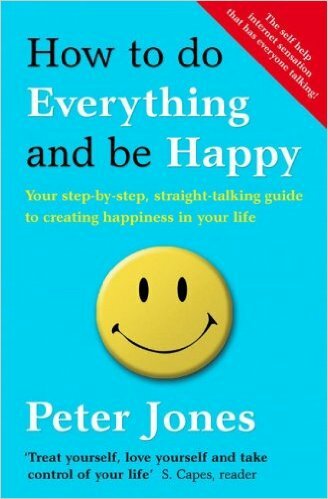 Practical, amusing and mumbo-jumbo-free, How To Do Everything And Be Happy does exactly what it says on the tin. When you visit the supermarkets, they always put sweets near the check-out as a temptation. I’ve noticed that Waterstones have started to do the same. When I was waiting for one of the staff members of my local store to find my recent book order, I began to browse their ‘sweet treats’ by the till. I picked up Mindfulness and within ten seconds I was laughing so hard I’d drawn a crowd! I had to buy it! I would highly recommend this book purely for the entertainment factor. Well, they do say that laughter cures all ills. The large clear script, the careful choice of words, the frequent repetition and the thoughtful matching of text with pictures all enable grown-ups to think they have taught themselves to cope. The subject of the book will greatly appeal to grown-ups. 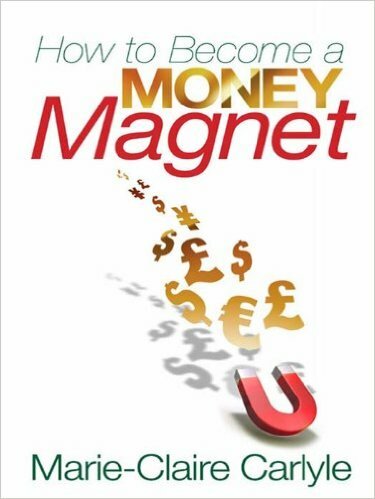 How to Become a Money Magnet is another re-read for me. I found Marie-Claire on Facebook many years ago and followed her posts about the Money Magnet workshops she was running at the time. When her book released in 2010, I snapped it up. I’m a nightmare when it comes to finances. I couldn’t tell you what I had in my purse, bank or under the mattress at any given time. Marie-Claire helps guide you to understand your money. Where it is, why you spend it the way you do, and how to find more of it. I was sceptical at first but after following some the exercises, I began to see the benefits. The book helps you to look at alternative ways to make money. Before I’d even finished the third chapter I had written and promoted a series of holistic workshops for my business and they were fully booked – it was the ideas given to me in this book that pushed me to step outside my comfort zone. Marie-Claire has since written a second book, but I didn’t like it as much as the first, so I stick to re-reading How to Become a Money Magnet. This book is about attracting money easily. Marie-Claire shares the seven basic steps to becoming a Money Magnet. Based on her original ‘How to become a Money Magnet!’ workshop, the book is filled with case studies of real people who have taken the seven steps with fantastic results, as well as exercises to help you find the Money Magnet within you. Whether you are looking for an immediate improvement in your finances or a sustained way of becoming wealthy, this book will help make attracting money fun, easy, and FAST! Take responsibility for the amount of money in your life and resolve to become a Money Magnet now! In the spirit of the New Year (and an unashamedly selfish book plug!) I wanted to include an additional book to the list. I’m not going to rate this one because I wrote it! That’s the beauty of writing a blog; you have the freedom to add your own title into the mix. The reason I added it, however, is down to the amazing messages I continue to receive from readers who find it inspirational. I’ve received incredible feedback from this book and hundreds of messages from people who found it insightful and motivating. I have also shed quite a few tears over the heart-warming stories that some of my readers have shared with me. One lady, who had recently been wheelchair bound, signed up for a degree course after reading my book, she told me that I had inspired her to take control of her life. Writing this book changed who I was and altered my future for the better. Straight-talking, honest and with touches of humour, Shelley Wilson shares her journey as she sets out to prove that being a 40-something, single mum with back fat and grey hairs isn’t the end of life as we know it. From fighting flab to writing a 50,000 word novel in 30 days, Shelley covers a wide variety of themes as she tackles twelve challenges in twelve months. 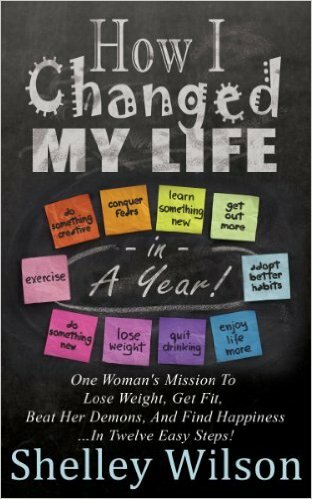 Packed with affirmations, tips, steps and links, ‘How I Changed My Life In A Year’ will keep you motivated for the year to come and beyond. Based on the popular Resolution Challenge blog, Shelley shows how one year can change your life. May I take this opportunity to wish all my readers a very happy and healthy 2016. Fabulous Shelley, I’m already rubbing my hands together and deciding which of these I want to read first. Great list Shelley, I’m definitely going to get some of these. My number one most motivational and helpful book of 2015 was “Leading for Results” by Joan Bragar (http://bostonleadership.com/). It is a short and easy to implement read that goes over five essential leadership practices that the author has found to be key in her 25 years in the leadership development business. The book lays out a clear program to help aspiring leaders find their purpose, pursue it, and learn from that pursuit. I like that the book feels like a mini leadership program in itself and that there are exercises provided at the end of each chapter so you can apply what you’ve learned to your specific job/position. It is so easy to believe that leadership and management are the same thing but this book shows you what it means to be a true leader and not just a manager. Would love to hear your opinion!